Yesterday, I did some reading in the book, ‘Women’s Wisdom, Women’s Bodies’ by Christiane Northrup. I had pulled it from the shelf about a week ago, after not having opened it for a few years, to look up a physical symptom I’d been experiencing. In typical never-put-anything-away-when-I’m-done-with-it fashion, it was still lying on my bedside table as I rose in the predawn light to travel the 2 hours with my husband to the craft show we were participating in. It caught my eye, a mammoth of a book, and I picked it up, put it down, stuffed its thickness in the bag, took it out, and finally grabbed it one last time as I ran back into the house for my left-behind mug. On Saturday, my husband and I had visited together the house in the woods– the one that I had finally brave enough to go see the day before, knowing on some level, I suspect, that it was ‘the one’. I’d heard the audible, unconcealed sigh in his voice when I had called him on Friday, deeply in touch with my self and overflowing with my’ find’, to ask him if he’d go see it with me. But he’d said ‘Yes, I’ll go with you’, despite the fact that he had many ‘things to do’. And so we made the drive on Saturday morning, me driving, him asleep in the passenger seat next to me. But then……wonder of wonders, or not…. he felt it too!!!! When we arrived at the house, expecting more of the same disappointment, he was almost as delighted as was I. We wandered the property before the realtor arrived, surveying, imagining ourselves there, and did more of the same inside after she arrived and let us in. After she took us outside to show us a few things, my husband asked if we could go back inside again. Yes, he’d felt it too. We left then because another showing was scheduled an hour after ours, took a drive down the winding valley road to a dive of a bar and grill that we’d seen advertised as ‘The Wilderness Lodge’ on a small billboard. We almost didn’t go inside because it looked closed, or more precisely abandoned, but asked someone in the parking lot, who assured us ‘yes’ it was open and that ‘it’d better be, cause I’m the owner’ in response to Don’s query, ‘good place to eat?’ I’ll leave my food critic behind, my atmosphere critic too, but give four stars to friendliness of staff (after my husband worked his ways with him, that is). We learned much about the area and the people from the gravelly old bartender/waiter. No doubt everyone in town will learn as much about us from him too :). And so we spent another couple of hours exploring the woods behind the cabin, found our way down to the creek, where we spooked a flock of waterfowl and discovered to our surprise , a hidden bench, and to my delight a few rhododendron on the bank. Though most of the woodland floor is clear of vegetation due to deer browse ( a few of whom we spotted ) these few rhododendron were survivors like me, likely due to the severity of the opposite bank. I can’t exactly say what it is about rhododendron that feels like home, but earlier in the day, while at the state park, I’d told my husband that if there were rhododendron along our portion of the creek, that’d seal the deal for me, and…. here they were. And so we left, feeling heavenly and connected in a way we haven’t in so very long. Back to reality, evidently. Now I will admit the drive is long, an hour and a half long, but I didn’t realize that it was enough time for my husband to lose the feeling we’d just had together? for the practical, pragmatic self to come back to the surface. It probably didn’t help much that we returned to the open checkbook and bank statement on the table inside the back door . We had missed entering a $1200 car repair in the ledger last month. That, combined with the loss of child support and the addition of college tuition payments has put us in a financial bind, the same financial bind that has perhaps bolstered the search for a new, more affordable, home at last. And I felt it again, that feeling of the tomb closing, the silencing I’ve been experiencing. It feels like a rage so powerful I cannot speak it or it will destroy everything in its path. The feeling I next had in the car was a frantic kind, a ‘stop the car and let me out now’ kind of feeling, a trapped feeling, followed by tears that wanted to throw themselves over the edge of a bed and freefall. But of course, I stuffed it all…the rage, the pounding of fists that scream ‘let me out’, the tears….and drove the 2 hours to the show in silence. Somewhere close to our destination, I pulled the book out of the bag, and read these words. So THIS is what I’ve been experiencing?! In reading this, an energy returned to me, a knowing and an honoring that I have been denying, or that I have allowed myself to be told and to believe is perhaps yet another whim. But this is not a running away, it is a running to. This is not a filling the void with some ‘thing’, this responding to the call of soul. In a recent conversation with the leader of a writer’s workshop, I found myself saying these words, “I feel as if not just a chapter of my life is over, but an entire book has closed. 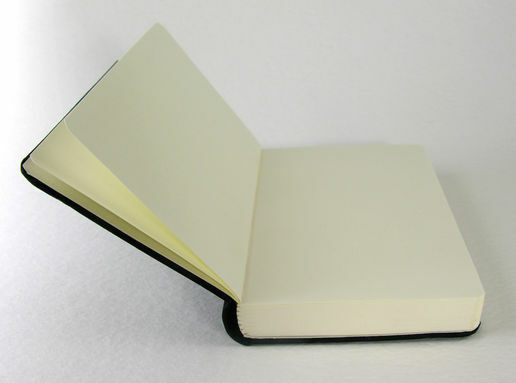 I hold a new book of blank pages in my hand. I don’t want that book to be filled with other people’s needs and expectations. I want it to remain empty, so that the words my soul wants to speak can rise to fill it with what it has been waiting its turn to express”. I have been dreaming of birth-giving that has been thwarted, of houses being build on fault-lines, of houses ablaze, of going for healing for burns to institutions but being denied, of being forced to the basement and suffocated there. It was in this last dream, just last week, that I rose up and screamed, literally, and so loudly that my throat hurt the next morning when I awoke, my voice at last breaking free and saying ‘no more’ though I still had no idea what it was wanting to speak. I’m still unclear what are the specific 3 things that threatened to put me to sleep in the birth-giving dream, but I do have the strong sense that I have taken my pregnant self back into my own arms, to a safe place in which to give birth, that I will no longer present her to the culturally-accepted institutions that deaden the birthing experience and restrict movement, voice, and empowerment of self. I am understanding some of the overwhelming energy that recently resurfaced in me around women’s medicalized and managed birth experiences. Somewhere during the afternoon, and on the silent ride home, something shifted in me. I realized that my husband’s resistance is creating a crucible of transformation for me. In some way, his denial and inability to just ‘give me what I want’ like a spoiled child, is empowering me to become an adult. In the same way, it is empowering me to name more clearly what it is that I want in life, to listen to the voice that is rising up, screaming to get my attention in response to the crushing feeling of doors and tombs closing. What does she fear is being threatened at this time? What is this irresistible need to fly now about? What will be lost irrevocably if I surrender my self again? At the same time, I am being compelled to take control of creating my own life rather than waiting for someone else to give it to me, to name for myself what I can have or can be… whether that be where I will live or who I will be or when I can be it. I have been too long dependent upon others to define what my life will look like, through economic or cultural power, through expectations and roles, through approval or withdrawal of approval. In the silence, I heard my Self saying, ’I cannot wait 5 more years’ (This is the time period Don has set as when he will be ready to retire). Perhaps my life force will no longer be content to be set to another’s timeline! Six years ago, I was given a similar 6 year timeline for which I suspect I set some internal clock, which will not allow itself to be reset again. This is not something I consciously planned or expected, but this is my truth. I was not aware of this latent longing in me, it had perhaps gone to sleep. Maybe this might be better envisioned as a soul-calling that has been embryonic for these years, nurtured somewhat beneath my awareness, though on some fully conscious level I was aware of my longing-for and wonderment-of what was yet unborn in me, the what would be ‘next’, the quickening of which I experienced earlier this year, and the fullness of which I have been dreaming of late. I did not know that I would feel this so strongly now, did not know that the empty nest would signal its awakening, but it is wanting to be born now, and the need to push is strong. I have known that I was going through a major transition this last year, have spoken it, written of it, felt it in my body, but somehow I forgot that at the end of the transition stage of labor comes this undeniable, unstoppable need to push, that will not wait for a more convenient or other-determined time and place. And so, in the silence that ensued, as I pondered how I might ‘give this to myself’ if my spouse wouldn’t ‘give it to me’, as I pondered how to take charge of my own life, gradually a vision materialized. After going through a period of despair at realizing how little economic strength I had, I began to wonder what I might ‘do’ to earn the thousand a month I’d need to pay the mortgage on the place, so that I might purchase it as a second home -if my husband could not agree to move there as a primary residence- as a place where I /we could go to the woods for retreat and refreshment and refueling. From there, I imagined that the home could be used as a retreat place for more than just myself and him, that I might be called to offer this space to other women, for personal retreat, or for small circles of women, that I could provide hospitality and nurture, for spirit and body. I superimposed this burgeoning idea onto the ‘overlapping circles’ from the ‘parachute’ exercises I’ve been journaling….’nature, meaning-making, creating’ were my three necessary components of vocation. -I thought of my life’s mission statement, created through the same exercises “When I am gone, I want there to be more honoring of the sacred journey of life, more awareness of beauty, more love of earth, more love and compassion, more healing and wholeness, because I was here”. -I recalled my ‘who am I’s’ … Divine expression, motherer, lover of earth, creator, seer/lover of beauty, listener, contemplative, storyteller, reader, counselor, wonderer. -I pondered the common themes that emerged from that list when asked to name what ‘turned me on about each’– newness, loving, seeking, connecting, understanding, birthing the new, ‘self-other’ relationships, expressing, ‘conversations’, peace. -I recalled the feeling of deep longing I have gotten whenever stepping into the woods these last few years of wanting to share this place with others whom I love, the convergence that happens for me in nature of my yearning to connect with nature and my yearning to connect with others. -I thought of my years of falling in love with camping. -I thought of my vision of the old woman in the woods whose place is known to others as a place of nurture and healing. -I thought of the way in which I have been doing this ‘work’ already in my life… the long afternoons I spend in the presence of women friends, lunches that turn into dinners, visits that turn into overnights… Melanie, Cindy, Lorelei, DeeAnn. Of women I’ve connected with in leading retreats or in direction who would cherish such a place… Tammy, Altheda, Diana, Sandy, Cindy, Diana, Carolyn, Beth. -I thought of my old desire to offer a sacred place of healing to women recovering from assault or abuse, or for women simply needing a quiet place to reflect upon a life passage , a place to grieve, to discern, to seek. – I thought of the desire I have had for a community house of prayer and mutual support, which has evolved from an older yearning to enter the convent. -I thought I my instinct for midwifery, the way that calling has not materialized in a literal way, but still feels like a ‘not-quite’ but powerful longing. -I thought about my own years of awakening mystical awareness, of spiritual opening, of deep healing…and how I might’ve been being prepared for more than my own healing. -I thought of my time spent listening to others on the phone, as sounding board, and how frustrated I have been, foolishly, that I have ‘lost time’ in the process. -I thought about the years of spiritual direction training, seemingly used only for my own growth, and wondered how/when that might be put to use in service of others. Its interesting isn’t it, how I opened up the idea that I needed to find place first, to build a new nest, so that what was in me waiting to be born might be free to come out, that I ‘could not see what would be born until I was in the place where that birthing would ultimately take place, as a woman in labor cannot truly imagine the face of the child she is also birthing’. Then I saw the place, and the image just fell into place around it, as if it were waiting for arms to catch it. Vicki, tears come to my eyes as I feel your need to follow your dream at this time. I do cherish the thought of such a place; I have often wondered what it would take to start one in south Mississippi. I believe you have so much to offer and I know there would be others, myself included, who would be willing to help you nurture your newborn life. In the meantime, I will be cheering loudly!!! Oh Vicki! You have no idea how much synchronicity there is now and has apparently been in our lives this past year. I cannot say I am surprised though, as it really lept into force beginning with your “Mary, Mary” retreat I attended with you last Advent season closely followed by a retreat entitled “Child of Your Dreams”. As I am writing this, I am AGAIN up late again as my body is too engulfed for sound sleep. I too find myself having long lunches, and would love to find a time to gather with you. There are women’s circles, art, infinitesimal connections with other women, and on and on that would speak to your idea to open your “new home”. Please respond if you would like to get together. you came to my mind as i wrote this reflection, as i guess you saw, and i too have been up late most nights for much of the summer. i’ve learned through the years that when this sleep pattern emerges, i’m needing some time to pay attention to something that i’m not finding space for throughout the day. usually it takes me a long time to figure out what that is though because i fritter even the wee hours with distractions, and so, if the staying up late fails to get my attention, my dreams wake me up! i’d love to get together. lets plan something for when i get back from algonquin. what works for you?